Pranayama breathing expands the lungs to their full capacity and warms up the internal organs. 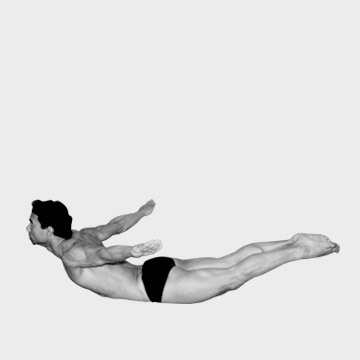 This pose increases circulation to the whole body and prepares the muscles for action. 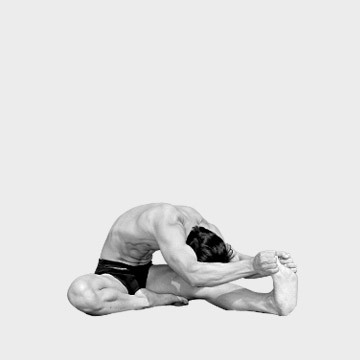 This pose also focuses the mind on the present moment. Awkward Pose strengthens and firms all muscles of thighs and increases blood circulation in the knees and ankle joints. This pose relieves rheumatism, arthritis and gout in the legs and also helps firm the upper arms. The benefits of the Standing Separate Leg Head to the Knee pose are the same as those of the Hands to Feet Pose. It also slims the abdomen, waistline, hips, buttocks, and upper thighs in addition to massaging and compressing the thyroid gland to help regulate the metabolism and immune systems. The Tree pose improves posture and balance and increases the flexibility of the ankles, knees, and hip joints. By strengthening the internal oblique muscles, it prevents hernia. 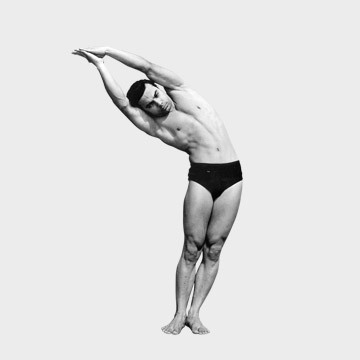 (This pose and the Toe Stand, which is #12 are preparatory postures for the more advanced Locust Pose. Toe Stand develops psychological and mental powers – especially patience. Physically, it helps cure gout and rheumatism of the knees, ankles, and feet. It also helps cure hemorrhoid problems. Sit – ups strengthen and tighten the abdomen and increase the flexibility of the spine. Cobra is one of the best ways to maintain the body in perfect condition. It increases spinal strength and flexibility, helps prevent lower backache, and helps cure lumbago, rheumatism, and arthritis of the spine. Cobra also relieves menstrual problems, cures loss of appetite, helps correct bad posture, and improves the functioning of the liver and spleen. This pose strengthens the deltoids, trapezius, and triceps. Half Tortoise pose provides maximum relaxation. It cures indigestion and stretches the lower part of the lungs, increasing blood circulation to the brain. 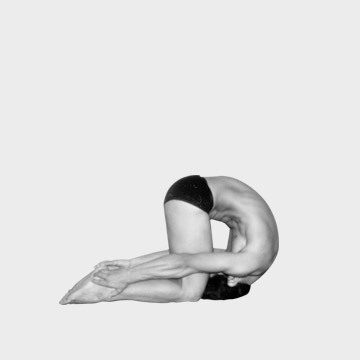 Camel pose stretches the abdominal organs to their maximum and cures constipation. It also stretches the throat, thyroid gland and parathyroid. Rabbit pose produces the opposite effect of Camel, giving maximum longitudinal extension of the spine. As a result, it stretches the spine to permit the nervous system to receive proper nutrition. Rabbit improves digestion and helps cure colds and sinus problems. Head to Knee Pose helps balance the blood sugar level and improves the flexibility of the sciatic nerves, ankles, knees and hip joints. 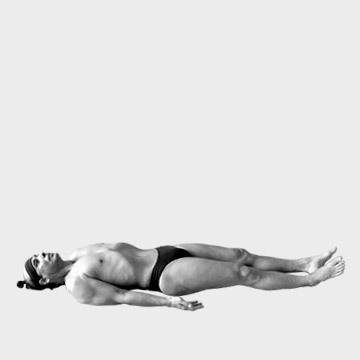 This pose improves digestion and enhances the proper functioning of the kidneys and expands the solar plexus. Spin Twisting Pose is the only exercise that twists spine from top to bottom at the same time. 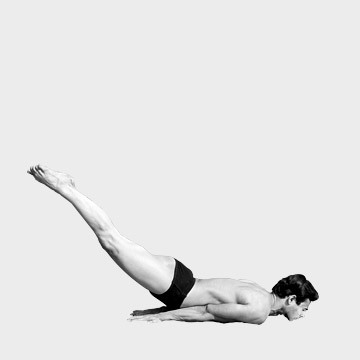 As a result, it increases circulation and nutrition to spinal nerves, veins, and tissues and removes flatulence from the intestines this pose firms the abdomen, thighs, and buttocks. The last breathing exercise strengthens all the abdominal organs and increases the circulation, it also make the abdominal wall strong and trims the waistline.